At BodyLase®, all medical spa treatments are physician-supervised and performed by a licensed medical practitioner with a minimum qualification of registered nurse. Moreover, our surgeons are Board-Certified with a total combined surgical experience of over 50 years. In an industry where many providers have no medical qualifications, BodyLase® goes above and beyond to ensure our clients the safest and most effective medical spa treatments available. 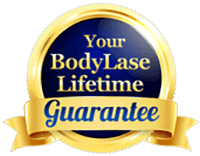 BodyLase® employs only highly qualified staff members and trains them under the highest standards of medical care and customer service when performing any med spa procedure. Our expertly trained, licensed medical professionals will help you to achieve the results you’re looking for.